People who have experienced trauma and who take common blood pressure medications tend to have lower PTSD symptoms, a Grady Trauma Project study shows. Traumatized people who take a class of common blood pressure medications tend to have less severe post-traumatic stress symptoms, researchers have found. The finding suggests that ACE (angiotensin converting enzyme) inhibitors or ARBs (angiotensin receptor blockers) could be valuable tools for treating or preventing post-traumatic stress disorder. The results were published online May 1 in the Journal of Clinical Psychiatry. "These results are particularly exciting because it’s the first time ACE inhibitors and ARBs have been connected to PTSD, and it gives us a new direction to build on," says senior author Dr. Kerry Ressler, associate professor of psychiatry and behavioral sciences at Emory University School of Medicine and a researcher at Yerkes National Primate Research Center. "These data come from an observational study, not a randomized clinical trial, so it is important to limit our interpretation until larger, placebo-control, double-blinded trials can be performed. Still, they provide evidence from a human population that could be followed up in a rigorous controlled trial. 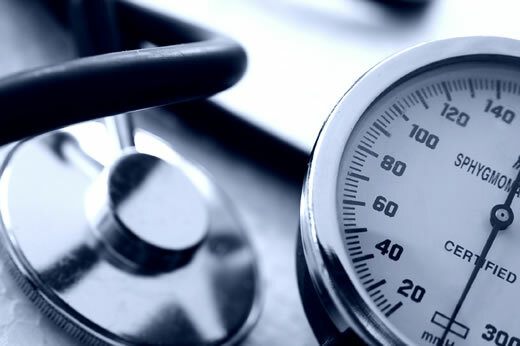 This class of medications has been widely prescribed for hypertension for years and their safety profiles are well known, so our results could be translated into action relatively quickly." The findings emerge from the Grady Trauma Project, an observational study of more than 5,000 low-income Atlanta residents with high levels of exposure to violence and physical and sexual abuse, resulting in high rates of civilian PTSD. All 505 participants in this study were exposed to at least one traumatic event, and around 35 percent of them (180) met the criteria for diagnosis with PTSD. Out of 98 participants taking ACE inhibitors or ARBs, generally for the primary purpose of blood pressure control, 26 had a PTSD diagnosis. People with PTSD can experience three types of symptoms: hyperarousal, avoidance/numbing, and intrusive thoughts. All the participants in the study reported how often they experienced these symptoms and the responses were compiled into a PTSD symptom score. Patients taking ACE inhibitors or ARBs had an approximately 30 percent decrease in PTSD symptom scores, but no significant differences were apparent for those taking other blood pressure medications, including beta-blockers, calcium channel blockers, and diuretics. In particular, individuals taking ACE inhibitors or ARBs tended to have lower levels of hyperarousal and intrusive thoughts. The results underline the physiological basis for the body's stress responses in PTSD, and links to blood pressure regulation. Both ACE inhibitors and ARBs interfere with angiotensin II, a hormone that regulates blood pressure. Ressler says his laboratory has begun investigating the role of angiotensin II in mice, in regions of the brain known to be important for stress and fear responses, such as the amygdala and bed nucleus of the stria terminalis. These data suggest that this class of medication may both decrease the body’s physiological response to stress in the cardiovascular system as well as decrease the brain’s response to stress. The negative finding with beta blockers was somewhat surprising, Ressler says. Some musicians and athletes take beta blockers to relieve performance anxiety symptoms, and some early clinical studies have examined whether they can be used to treat PTSD. Beta blockers diminish the body’s response to the stress hormones norepinephrine and epinephrine. "Beta blockers did appear to have a trend toward an effect, but the effects of the angiotensin medications were stronger, and when people in our study took both, only the angiotensin medications survived statistical analysis," Ressler says. "Beta blockers may be useful in the moment for decreasing social or performance anxiety, but their efficacy in PTSD treatment is still an open question." The first author is a graduating medical student at Emory, Nayla Khoury. Ressler, a Howard Hughes Medical Institute Investigator, is co-director of the Grady Trauma Project, along with co-author Bekh Bradley, assistant professor of psychiatry and behavioral sciences at Emory and director of the Trauma Recovery Program at the Atlanta Veterans Affairs Medical Center.